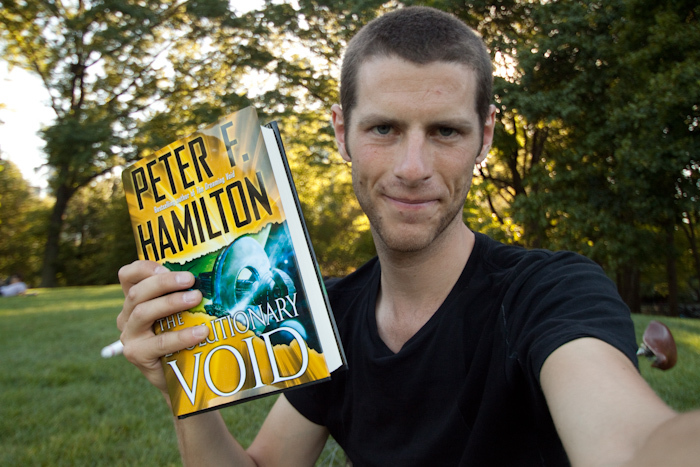 Luke reviews The Evolutionary Void, the third book in the Void Trilogy, avoiding as much of the story as possible so not to spoil the events in the other books by Peter F. Hamilton. This was written by Luke Burrage. Posted on Wednesday, October 13, 2010, at 12:09 am. Filed under Podcast. Bookmark the permalink. Follow comments here with the RSS feed. Both comments and trackbacks are currently closed.